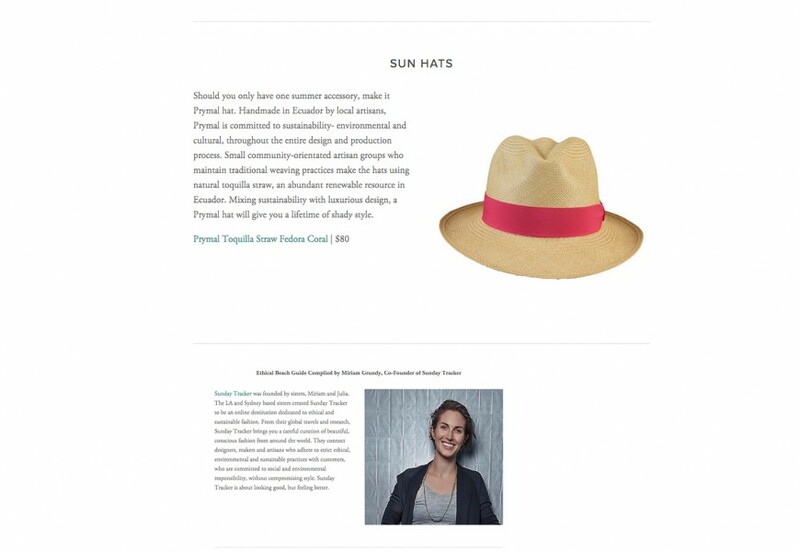 “Ethical Beach Guide” by Miriam Grundy of SUNDAY TRACKER for The Good Trade. 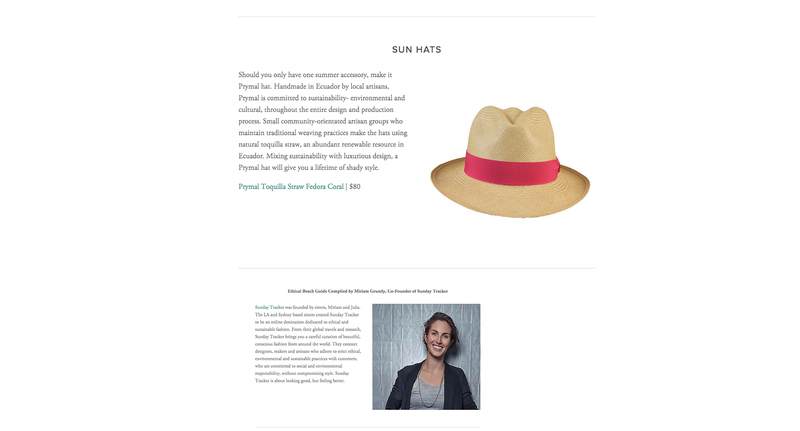 Featuring our Fedora Natural Fuchsia hat. | Click here for the complete feature.